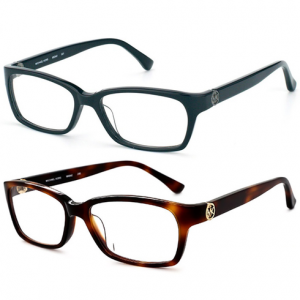 Tanga.com has a Michael Kors Optical Eye Glass Frame Sale $69.99, Free Shipping. These frames come with nonprescription lenses. These can be replaced with your prescription at your optical shop. Costco is a great place to make cheap glasses.